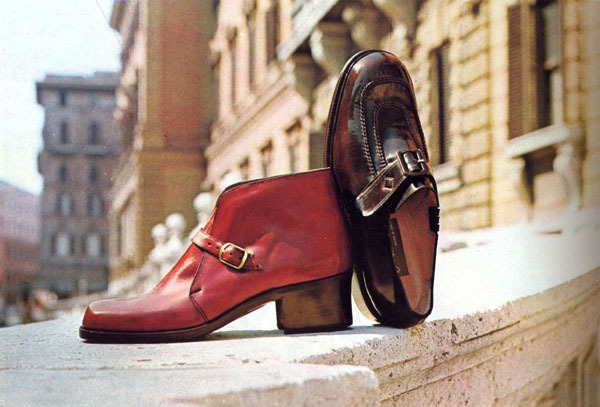 Faro Ferradini di Castelfranco di Sotto (PI) negli anni Sessanta era un nome di riferimento per le calzature eleganti da uomo in Italia e a New York. 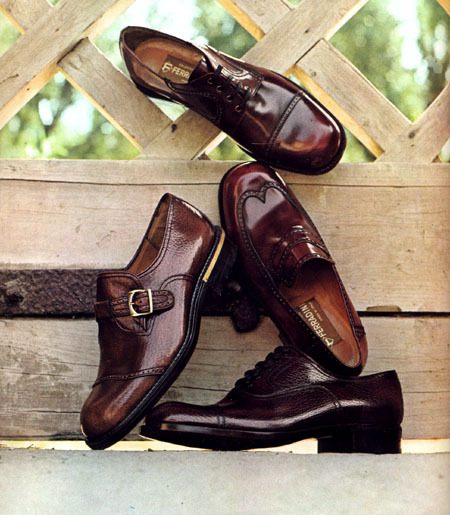 Prima del suo exploit americano a base di stivali patchworks pitonati lavorava per l’Alta Moda Uomo e creava le calzature per le sfilate di Angelo Litrico. 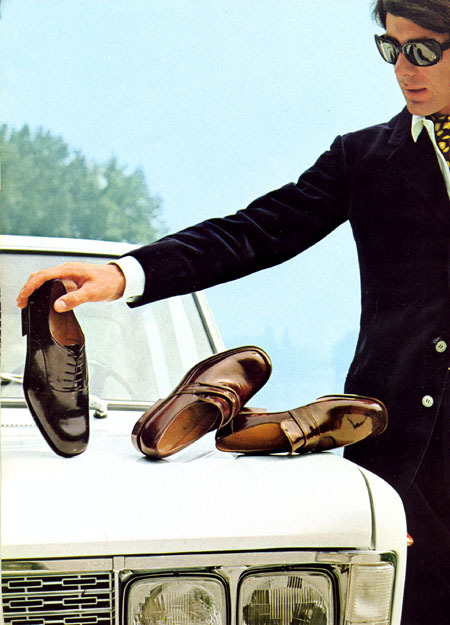 Fu tra i vincitori dell’Oscar della calzatura assegnato dall’Accademia Internazionale di Torino nel 1969. Questa fu la collezione premiata. 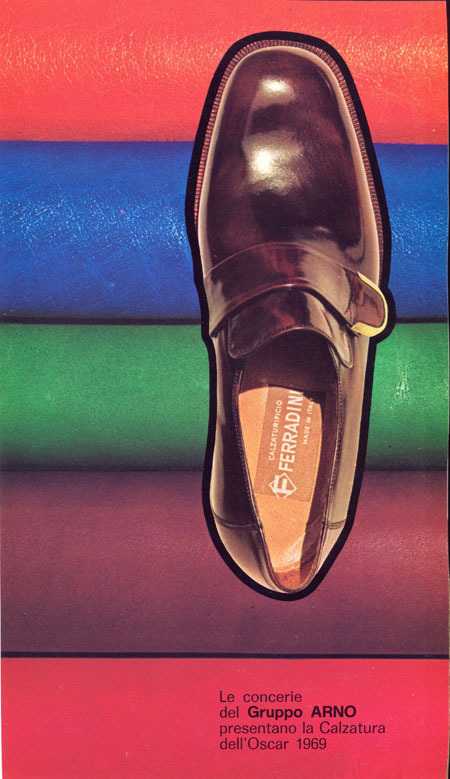 Faro Ferradini, in the Sixties was a leading name for man's dress shoes in Italy and in New York. 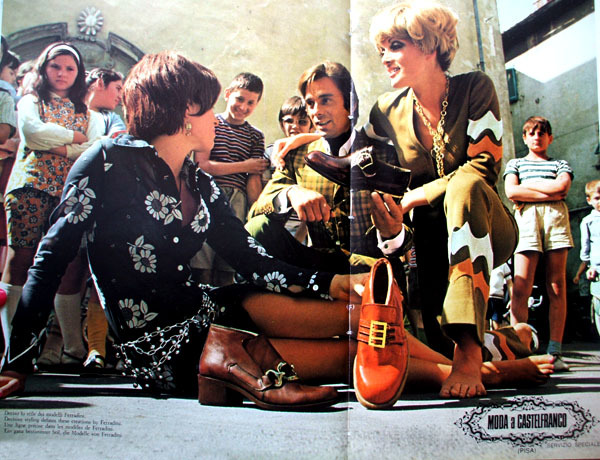 While working for the haute couture - producing shoes for Angelo Litrico men's fashion shows - he was among the winners of the footwear Oscar at the International Academy of Turin in 1969. Following is the awarded collection. 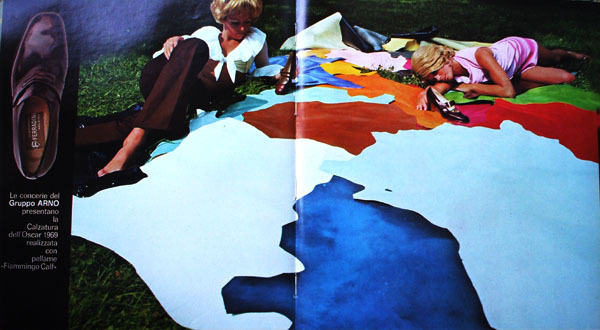 After a while he conquered the American market with boots of patchworked python. 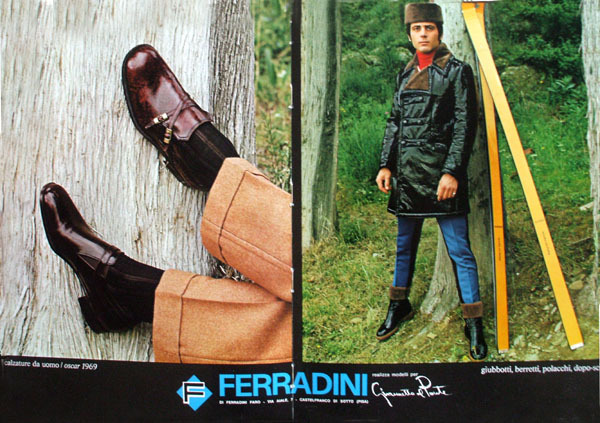 In quegli anni fra i clienti di Ferradini c'era anche il cantante melodico Fred Bongusto. 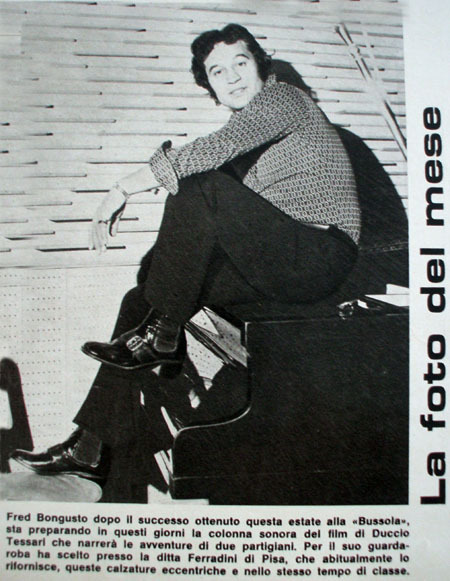 The Italian singer Fred Bongusto was a Ferradini customer.